As the ancient myth makers knew we're children equally of the earth and the sky. In our tenure on this planet we've accumulated dangerous evolutionary baggage, propensities for aggression and ritual, submission to leaders, hostility to outsiders, all of which puts our survival in some doubt. But we've also acquired compassion for others, love for our children, a desire to learn from history and experience and a great soaring passionate intelligence, the clear tools for our continued survival and prosperity. Which aspects of our nature will prevail is uncertain, particularly when our visions and prospects are bound to one small part of the small planet Earth. But up there in the Cosmos an inescapable perspective awaits. National boundaries are not evident when we view the Earth from space. Fanatical ethnic or religious or national identifications are a little difficult to support when we see our Earth as a fragile blue crescent fading to become an inconspicuous point of light against the bastion and the citadel of the stars. There are not yet obvious signs of extraterrestrial intelligence and this makes us wonder whether civilisations like ours rush inevitably headlong into self-destruction. * all songs from Symphony of Science, and I purchased the album to help support their amazing efforts. In my life the number 23 doesn't occur much. 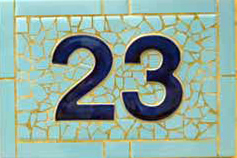 Anytime there's an historical date of import, historical figure's birth or death dates, a date made up in a book or story...I always hope the 23rd will be the date--but it seldom is. 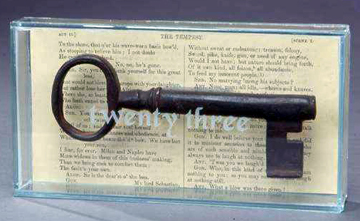 So when the twenty-third does pop up, it sticks out in my mind. And it seems to take on unusual importance, or occurs in odd happenstance. The most recent weird 23 event occured during my office party. The company rented out an upscale Asian-fusion restaurant--it was a blast. I got there late and there were already at least 80 people there. At the coat check, the racks were full. Cold weather snap and everyone wore coats. My coat check number, though, was 23. Out of all the numbers I could have gotten, out of all the tons of checked clothes--I still came up 23. Neat. Alas, poor Pluto! I knew him, Reader: a planet of infinte smallness, of most excellent compression: it hath fueled speculation a thousand times; and now, how abhorred in my imagination it is! My gorge rims at it. Here hung that planetary mass that I have pondered I know not how oft. Where be your classifications now? your status? your flashes of mystery that were wont to set the scientists on a roar? Not one now, to maintain your planetdom? quite chap-fallen?